Simla: Indian Institute of Advanced Study, 1997. New Delhi: HarperCollins Publishers India, 1997. Bhuchar, Sudha and Kristine Landon-Smith. London: Nick Hern Books, 1999. Bose, Sugata and Ayesha Jalal. Delhi: Oxford University Press, 1997. New York: Simon & Schuster, 1949. Cambridge [England]; New York: Cambridge University Press, 1990. Economic and Political Weekly 28 (1995): 1125-1132.. ---. The Other Side of Silence: Voices from the Partition of India. Cowasjee, S. and Duggal, K. S., eds. Toronto: University of Toronto Press, 2006. India Partitioned: The Other Face of Freedom. 2 vols. New Delhi: Roli Books, 1995. Kingdom’s End and Other Stories. Trans. Khalid Hasan. Mathur, Ramesh and Mahendra Kulasrestha, eds. An Epic Unwritten: The Penguin Book of Partition Stories. 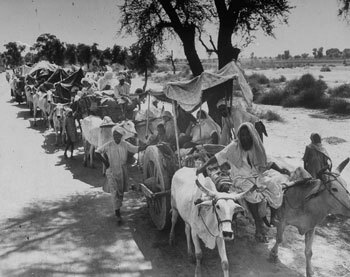 Remembering Partition: Violence, Nationalism and History in India. "The Trauma of Independence: Some Aspects of Progressive Hindi Literature." Ravikant and Saint, Tarun K., eds.